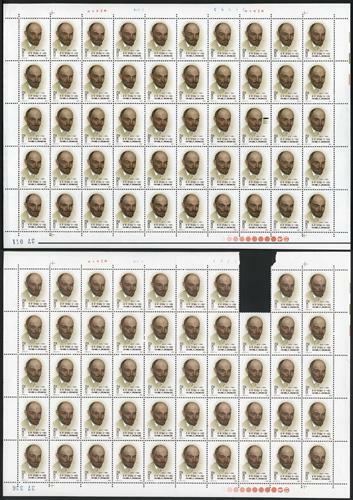 1980 J57 Lenin in sheet of 50 plus one sheet missing one stamp (Scott 1602), totally 99 stamps. Fresh MNH. Very Fine.